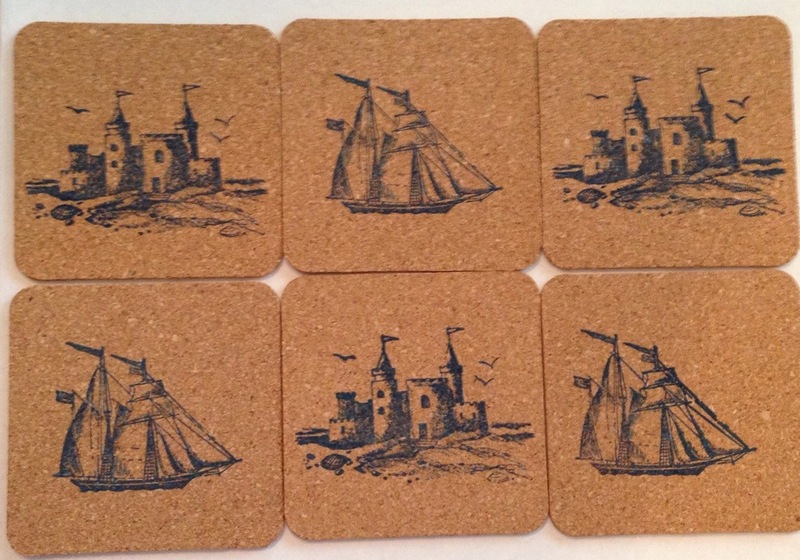 DIY Coasters – I used inexpensive cork coasters from the craft store and beach-themed stamps. 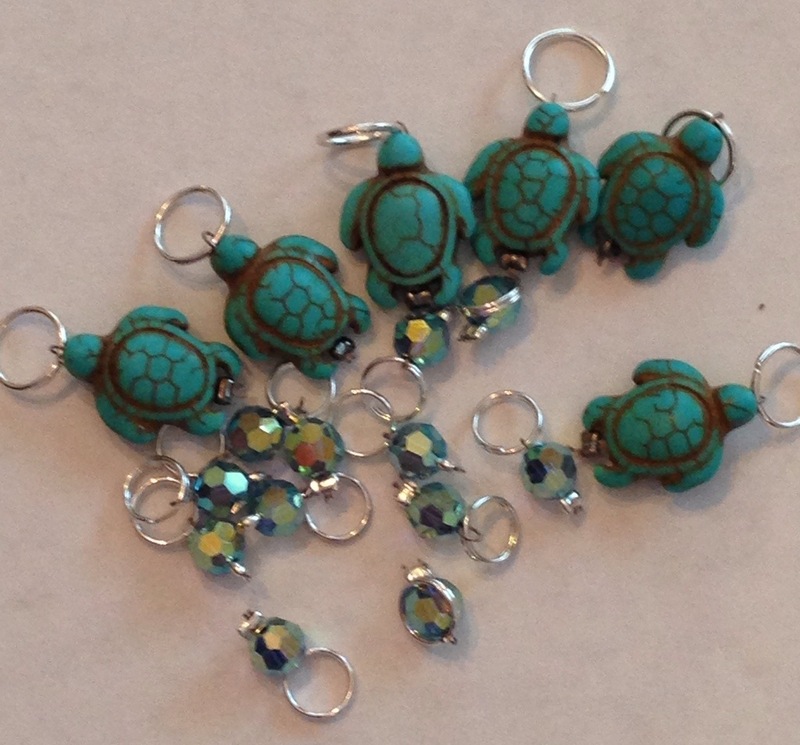 More Stitchmarkers – well, you know, the craft store was having a sale on beads and I couldn’t resist the turtles – a fun reminder of our many trips over the years to the North Carolina coast. And I needed to make the smaller stitchmarkers for sock projects. 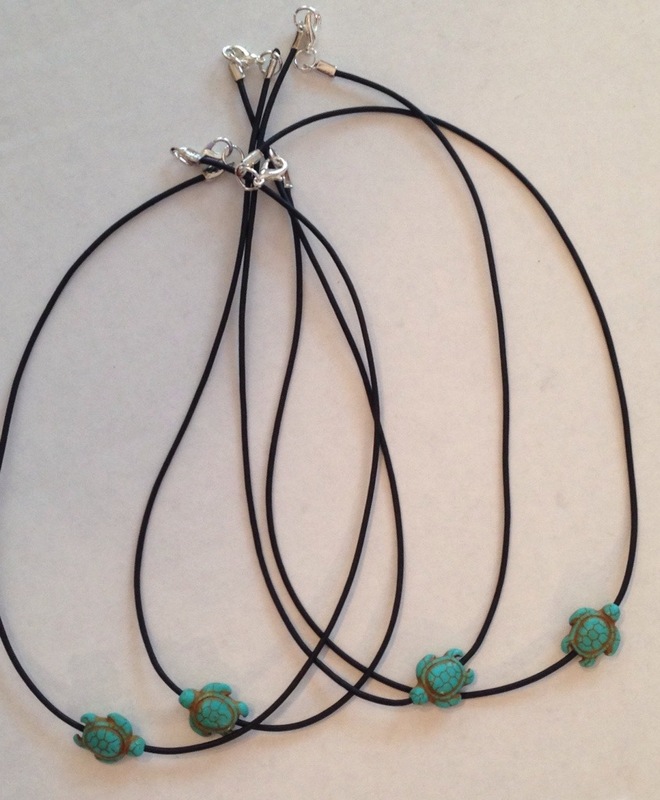 DIY Beaded Necklace – when my daughter saw the turtle beads, she immediately showed me a picture of a necklace from Pinterest? Instagram? Twitter? Another quick trip to the craft store, a few fasteners and voilà! She loves them! Quick and easy! What non-knitty projects have you been working on? Share here!